Meet our Panelists for the Girls on the Run NYC Sneaker Soirée! Join us at the Girls on the Run NYC Sneaker Soirée to hear from leading women in sports, communications, and tech! We’re thrilled to present some of our incredible panelists for the Girls on the Run NYC annual Sneaker Soirée on May 2, 2019. Each of our panelists will be speaking to our evening’s theme - critically addressing the gaps in the stories that our society tells about girls, and the stories that girls tell about themselves. 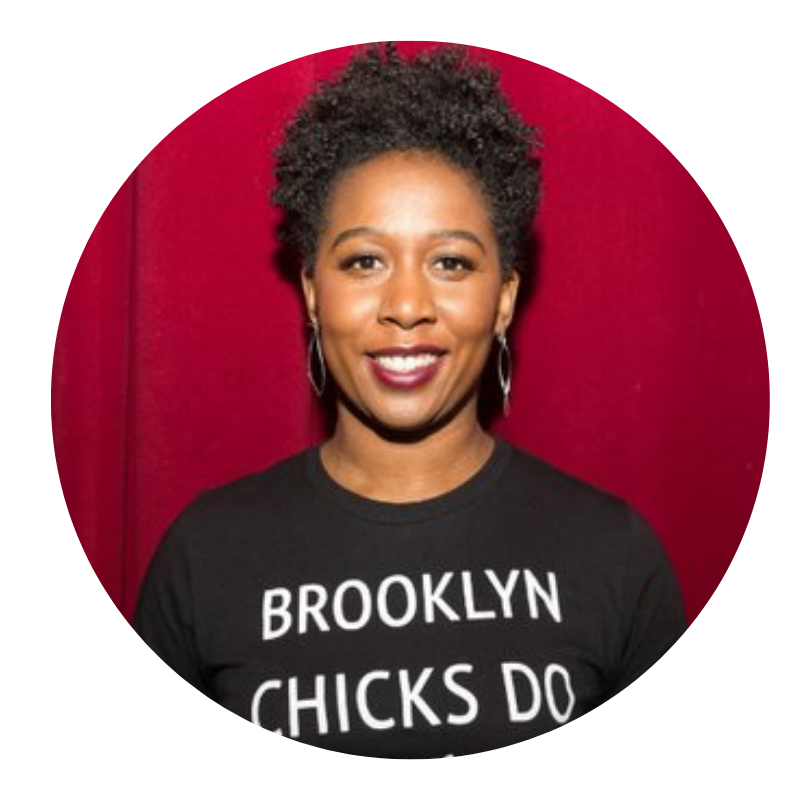 Adena Jones is the Director of Operations at SoulCycle where she is responsible for production of distributed media in the Commercial department. With a background at ESPNW, CBS Sports, the Bleacher Report, and more, Adena has over a decade of developing successful social editorial strategies and digital activations by creating engaging content for use in social media campaigns. A native of Brooklyn N.Y., Adena’s expertise in story sharing and reporting sets an inspiring example for how women can represent and lead in sports journalism. Brynn Putnam is the founder and CEO of MIRROR, a fitness technology company poised to revolutionize the way people work out. For more than a decade, Brynn has been well-regarded as a pioneer of the fitness industry. She started her career as a professional ballet dance for the New York City Ballet. In 2010, Brynn took her learnings from elite trainers and physiologists across the national and founded Refine Method, the acclaimed fitness studio dubbed "Best New Workout" by New York magazine. Now, Brynn is applying her deep expertise in fitness, both as an entrepreneur with a proven track record and an accomplished athlete, to transform the fitness industry again. Benita Fitzgerald Mosley joined Laureus USA as CEO following her senior executive role with the United States Olympic Committee as Chief of Organizational Excellence. Named a Game Changer by the Sports Business Journal in 2015, she led USA Track & Field’s 2012 Olympic team to win 29 medals in London, its best performance in 20 years, when she served as Chief of Sport Performance. Honored as Cable TV Executive of the Year by Television Week magazine, she was Women in Cable Telecommunication’s President and CEO for eight years. Benita's passion and appreciation for the values of sports participation includes her stellar performances on the 1980 and 1984 Olympic teams where she won a gold medal in the 100-meter hurdles at the 1984 Los Angeles Olympic Games. Our panelists embody the Girls on the Run NYC mission of building girls’ limitless potential. Together, they’ll discuss the unique challenges faced by girls and women today, their own stories of success through sport, and the infinite opportunities for growth as we empower tomorrow’s leaders. It will be a discussion that you don't want to miss! Join us for a spring night like no other and pick up your sponsorship, group package, or ticket today! PS - Can’t attend on May 2, but want to show your support for girls’ leadership? You can donate today to have your name listed on our Star Supporter wall, including your message of encouragement for the next generation of girls ready to run.